Our free, no obligation, website audit will give you an overview of your site’s current SEO visibility and outline page errors and improvements that can be made to your site to improve your rankings We are so confident that we can help your website visibility that we offer this completely free report and web health check to your Australian business. Our advanced seo analyzer tool to gives you an in-depth seo analysis of your website’s Search engine optimisation. This seo test tool analyse not only your seo status, but also the website social media, site usability, online reputation, meta tags, and site speed. 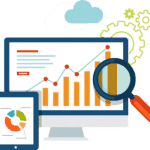 Examine your webpage and get instantaneously your analysis report together with your rankings from this seo check tool. Improve your web page content and increase your search engine ranking. Got questions about your results? Our digital experts are here to answer any questions you may have about SEO or digital marketing. Get in touch to discuss your results.